Featuring intriguing interviews from 100 influential women in gaming, learn how women have played -- and will continue to play -- important roles in the burgeoning video game industry. 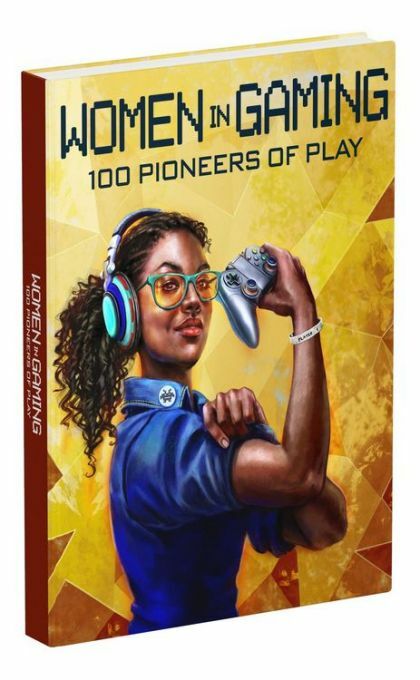 Women in Gaming: 100 Pioneers of Play is a celebration of women's accomplishments in the video game industry, ranging from high-level executives to programmers to pro-gamers. This insightful and celebratory book highlights women who helped establish the industry, women who disrupted it, women who fight to diversify it, and young women who will someday lead it. Featuring household names and unsung heroes, each individual profiled is a pioneer in their own right. Ashly Burch, Emmy-winning writer and voice actress. Carol Shaw, Early industry programmer, designer, and Industry Icon award recipient. Tracy Fullerton, Designer & director of USC Game Innovation Lab. Emily Greer, Cofounder & CEO of Kongregate. Perrin Kaplan, Former vice president of marketing for Nintendo of America. Jane Ng, Senior game artist at Campo Santo. Patricia Vance, Longtime ESRB president & founder of the International Age Rating Coaltion. Karisma Williams, Xbox & Oculus VR Senior UI/UX DesignerLorraine McLees, Senior Artist at Bungie. Rebecca Heineman, Programmer and founding member of Interplay Productions.